One of Michigan’s own earned the ECHL’s top individual honor for the 2017-18 season. 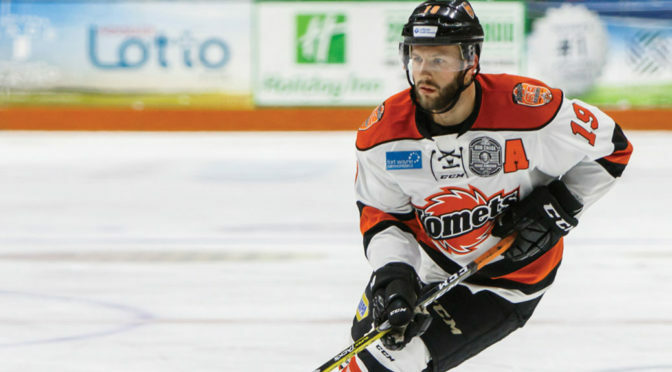 St. Clair Shores native and Fort Wayne Komets forward Shawn Syzdlowski was named league MVP, as voted on by ECHL coaches, broadcasters, media members and media relations directors. The 27-year-old led the ECHL in scoring with 79 points (31-48–79), adding a plus-39 rating in the process. His plus-minus rating ranked second among all skaters and his six game-winning goals tied for sixth. Syzdlowski’s Komets are currently tied at one with the Toledo Walleye, affiliate to the Detroit Red Wings, in round two of the ECHL Playoffs. He has recorded nine points through seven games thus far. Syzdlowski, who also competes locally in the Eastside Elite League during the off-season, had also been named to the All-ECHL First Team.